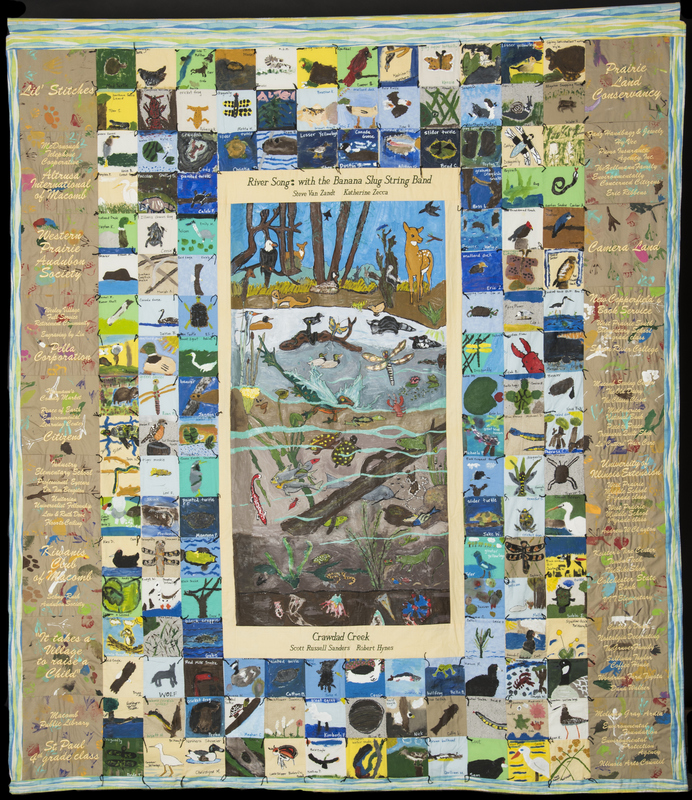 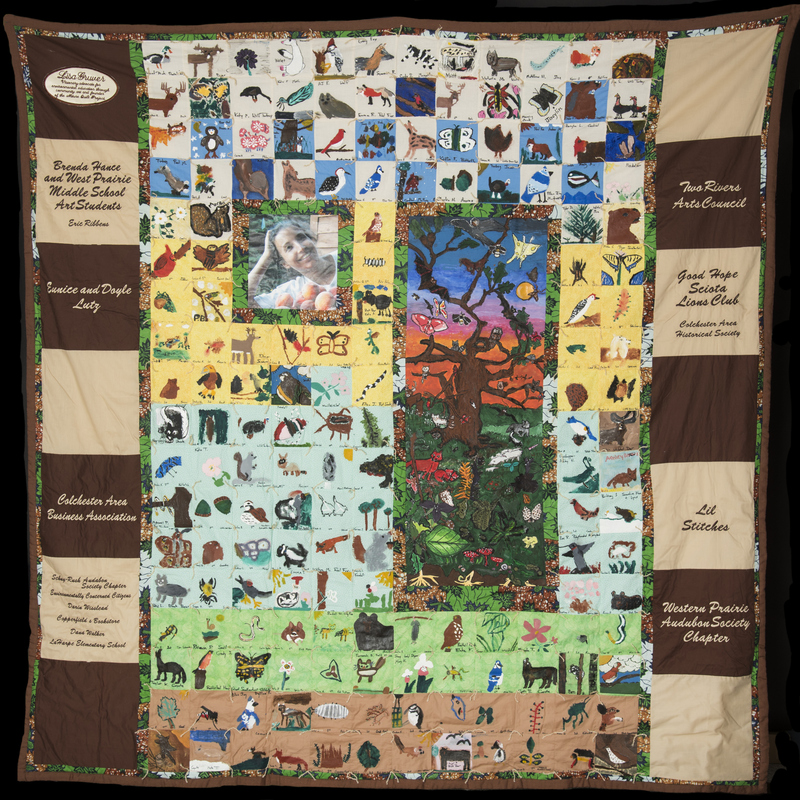 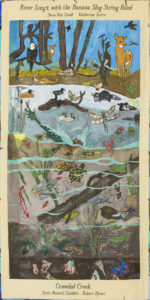 The Nature Quilt Project. 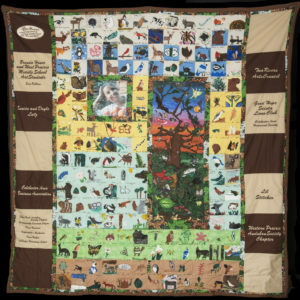 Designed Centerpiece for 2011 Illinois Forests quilt used to raise awareness and funds to purchase Illinois private lands, and host a bookathon in area middle and grade schools. 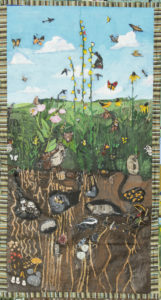 Traveled to Industry, Ipava, Bushnell, West Prairie, Good Hope and Macomb schools to explore Illinois Forests and ecosystems and help kids paint native plants and animals. 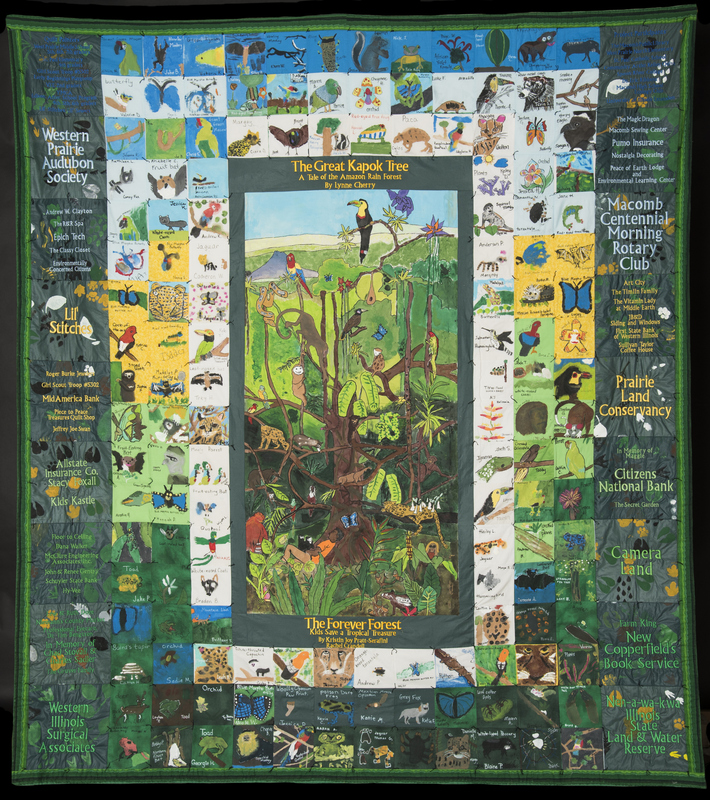 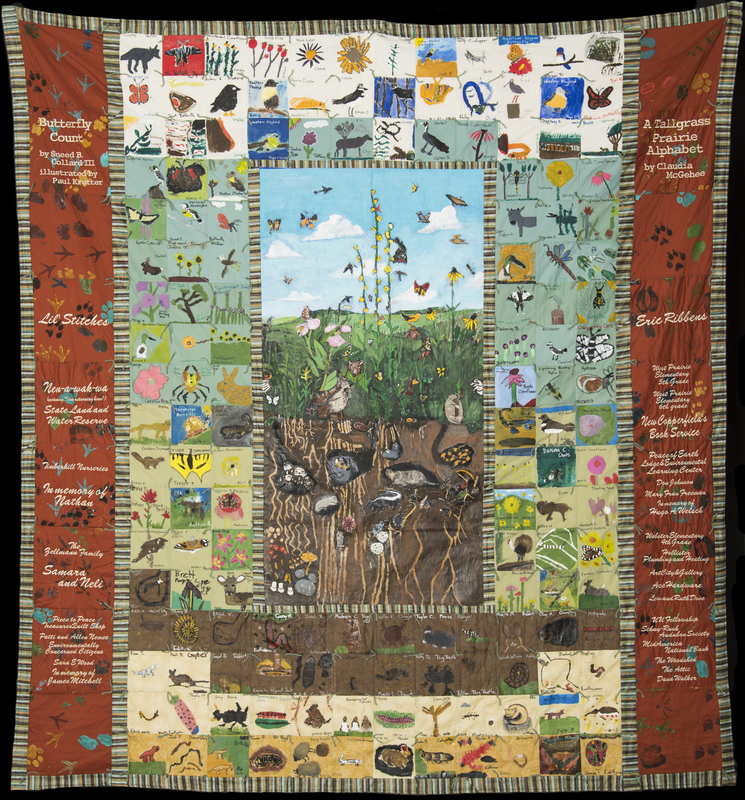 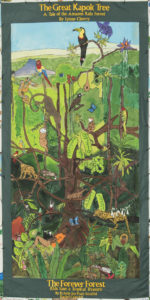 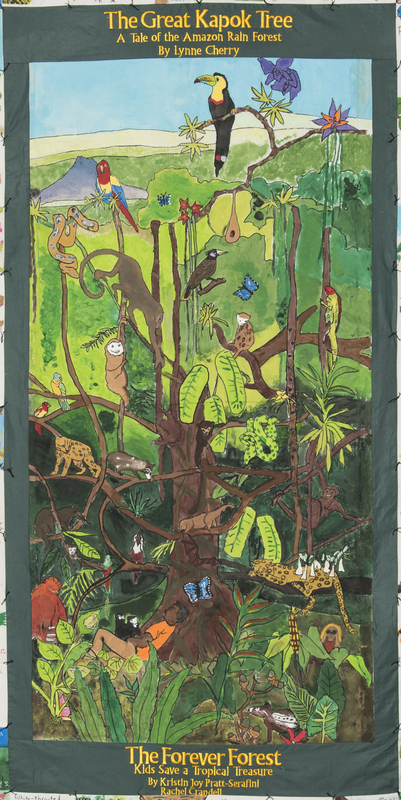 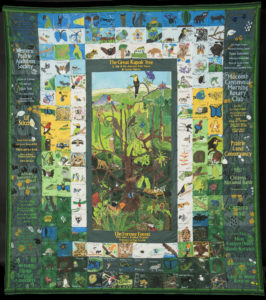 2008 Designed Centerpiece for Children’s Eternal Rain Forest quilt used to raise awareness and funds to purchase a part of the Costa Rican land conservancy. 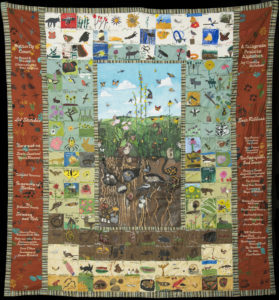 Designed Centerpiece for 2010 Illinois Prairies quilt used to raise awareness and funds to purchase Illinois private lands, and host a bookathon in area middle and grade schools. Traveled to Industry, Ipava, Bushnell, West Prairie, Good Hope and Macomb schools to explore Illinois prairies and ecosystems and help kids paint native plants and animals. 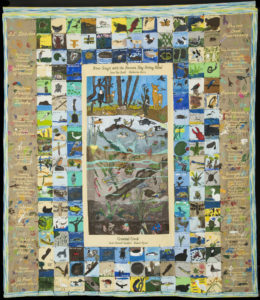 Designed Centerpiece for 2009 Illinois Streams and Waterways quilt used to raise awareness and funds to purchase Illinois private lands, and host a bookathon in area middle and grade schools. 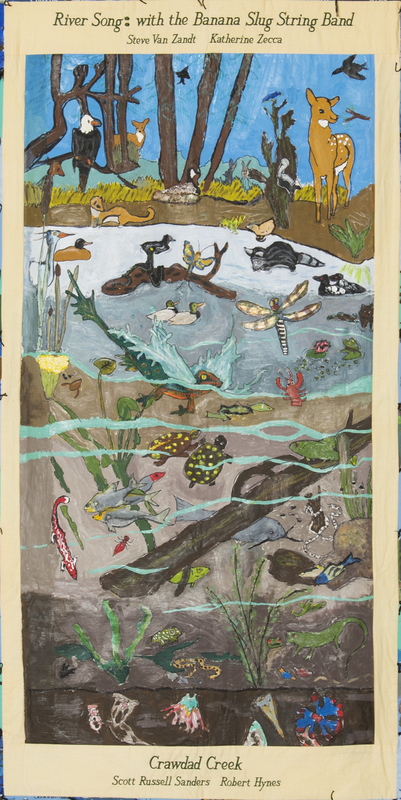 Traveled to Industry, Ipava, West Prairie, Goodhope and Macomb schools to explore Illinois waters and ecosystems and help kids paint native plants and animals.